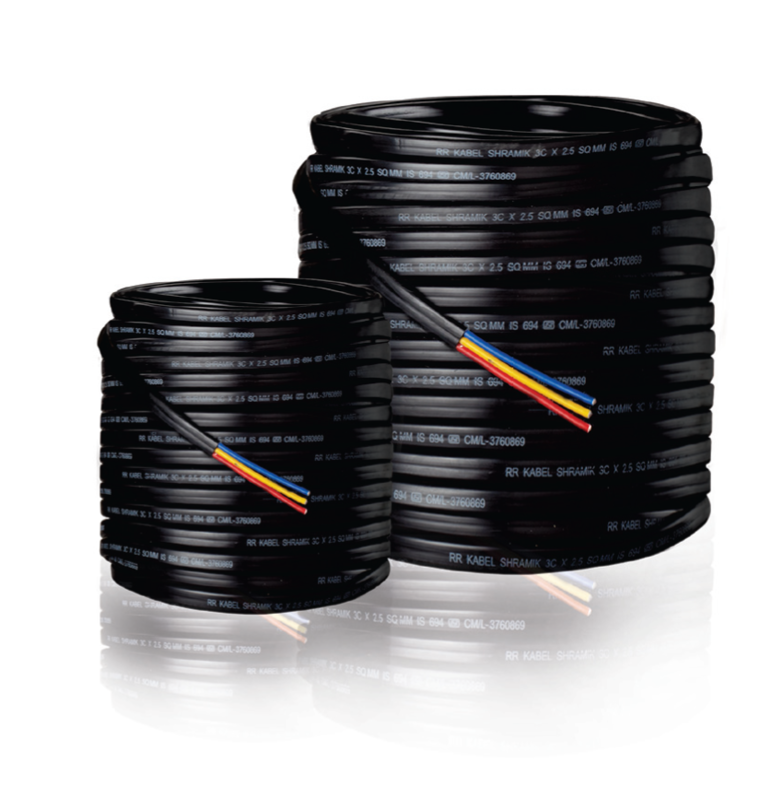 Fits perfect required Grommet As per IS dimension Perfect sheathing for under water application. Conductor: Compactly bunched high purity bright, electrolytic grade, plain annealed copper with superb lexibility according to BS 8130 Class 2 & 5 available in various sizes. ‘Unilay’ conductor in the core will be provided on special order from 1 to 4 sq. mm. sheathing is available on special order. Current derating factors as per IS 3961 part 5 shall be applicable for different usage conditions. Standard Sheath Colours : Black. Standard Packing : 100 mtr. Longer lengths supplied on order.